Every company and organization should have a crisis communications plan. I have often compared crisis communications planning to owning smoke detectors with properly updated batteries. You will hopefully never be caught in a fire during the middle of the night, but, if the unthinkable happens, you will be alerted and prepared to take action. Most people would concede that owning a smoke detector is just the first step. In reality, any sort of an alarm is essentially useless if you don’t have a plan that has been tested. The same can be said of crisis communications. Many companies and organizations are ahead of the curve, investing the time and effort to consider various scenarios that result in “bad news” — events that become stories media outlets choose to cover. Some companies and organizations are content to roll the dice, chancing that their bad days will never rise to a level attracting media scrutiny. Regardless of your degree of planning, the strength of your crisis communications strategy can be measured by these questions: What happens when your company or organization gets punched in the mouth with bad news? Is your crisis communications plan battle-tested? In brief, can it pass the Mike Tyson test? While there are some great PR conference panel discussions and webinars addressing the subject, the true test of a crisis communications plan happens when it’s placed into action under live circumstances. You can game out thousands of scenarios and you will never be able to anticipate all the variables that can arise. Quite often, it’s how you handle those unexpected issues that will determine the actual level of your success in the area of crisis communications. Major League Baseball scouts will tell you that everyone in the majors can hit a fastball coming straight down the middle. Even at 100 miles per hour, a major leaguer can make contact with a straight-on fastball. (A majority of big leaguers can crush the average fastball). But, in most cases, the biggest difference between those good enough to be in the major leagues and baseball’s all-stars is the ability to hit pitches other than a fastball. In the same vein, most public relations professionals would probably concede that handling press releases and email blasts covering “good news” is much like hitting a fastball down the middle. Every competent PR pro should be able to handle this type of assignment. The point of separation for many PR practitioners can be found on the days when you are called to address those rarely seen circumstances. PR pros who can step up to the plate and hit the curveballs and off-speed pitches thrown at them during a crisis communications situation are the ones you want on your team. Several years ago, I handled media relations for a trucking company. During my tenure, we developed a crisis communications plan that had been battled-tested — proven in live conditions capable of withstanding a strong punch. Given the risks involved with the volume of traffic traveling on the highways these days, trucking companies of all kinds will encounter some bad days. While there were some occasional bumps in the road over the years, the carrier I was privileged to represent as a company spokesman has maintained a sterling reputation as a safety leader to this day. Of the handful of crisis communications situations that arose while I was in the media relations hot seat for the carrier, there was one day in April a few years back that stands out as one of the most bizarre and challenging events I had ever encountered. This crisis communication test was worthy of a 1-2 combination from Mike Tyson. As seen in the YouTube video included here, one of the company’s drivers ended up taking a wild ride through the freeways of Atlanta on the back of a trailerless rig, also known as a bobtail truck. How the driver ended up on back of the truck and clinging for his life during a multi-agency, high-speed chase that lasted some two hours became my job to sort out for the purposes of managing the media inquiries. When news of the freeway chase broke across police scanners, it became instant programming for Atlanta TV stations and all the major cable outlets. As you can hear in his reaction to the dramatic footage, Shepard Smith of Fox News immediately hailed the driver as hero – mainly, as the anchor surmised, because he was trying to save his truck. Once the chase thankfully ended with the hijacker in custody and no significant physical injuries to the driver who had become an unwilling passenger, the media inquiries began flowing into my office on the level of Niagara Falls during a flood advisory. The approach we had designed for incident situations centered on engaging the media representatives who called, taking their requests and asking questions of them. For instance, what have the authorities told the reporter at the time of their call? (Is this the same as the company is hearing?) Essentially, what do the reporters know? In certain instances, the information you can get back from reporters will help to put together some of the pieces of the puzzle. It also establishes a dialogue that can be helpful as you are responding to their requests for information. Because the driver had to be debriefed by multiple law enforcement agencies involved in the chase, I had limited access to him by phone to collect important details surrounding the incident. Obviously, the most important points to know were these: How did the truck become hijacked? How did he end up on the back of the truck? During one of our conversations, the driver told me that the hijacking had occurred at a strip mall after he had dropped his trailer at a customer location. However, what he failed to initially relay to me was the fact that he had left the truck idling in the parking lot with the doors unlocked. I actually learned that fact from a local television reporter who had gained access to the surveillance tape in a store the driver had just entered at the strip mall. The station was broadcasting the video of the driver realizing he was hearing the warning signals given as the truck began backing up. In the surveillance video, you could see the driver panic and run out of the store. As I learned later from the driver, he proceeded to chase the truck down on foot in the parking lot, jumping onto the running board adjacent to the driver’s door in an attempt to get the hijacker to stop. However, the hijacker had no interest in stopping. When the truck headed for the freeway, the driver made his way to the catwalk on the back of the truck. He then did his best to hang on while protecting his face from the debris coming up from the freeway. The driver managed to call his dispatcher who had satellite tracking on the truck. Authorities were immediately notified of the situation and the truck’s location, beginning what became a two-hour, midday freeway chase. What would be the scope of the company’s comments on the incident? Would we choose to offer no comment? Would we make the driver available for comment? If so, how would those interviews play out? I have often viewed working a crisis communications situation much like taking a trip on the Apollo 13, the mission to the moon that had to be aborted when the ship was damaged beyond repair. As depicted in the 1995 movie, the Apollo 13 crew and those supporting them in Mission Control could only work with what they had on hand in the spacecraft. From those resources and their collective experiences, they had to develop the processes on the fly to build contingency systems and plans. While you won’t skip off the earth’s atmosphere and perish, which could have been the fate of the Apollo 13 crew, the manner in which you handle a crisis communications situation will have an impact on your company or organization. Brand reputations have been significantly scarred and countless careers have ended or were forever tarnished by the response (or lack of response) provided in a crisis situation. Though nearly every crisis communications event is unique, an application of the “work-the-problem” logic used by NASA can prove to be helpful. The most important step you often can take in these kinds of situations is a step back for the purposes of evaluating where things stand. And while assessments must be made quickly, it’s important to keep a global perspective in mind while knowing every choice you make will have an impact. What is known about the event that has put the company or organization in the spotlight? What is the best outcome the company or organization could hope to see resulting from this situation? What kind of half-life might the story have? Hours? Days? Weeks? Months? Years? What questions are media outlets asking? How much time do you have to respond to those requests? What type of guidance will be given to person addressing the media’s questions? What information will be provided to the media? What information will not be disclosed? How will you address any additional surprises that arise, including any potential long-term consequences from the media strategy you have chosen to implement in this situation? The First Amendment guarantees our right to speak or not to speak. It’s our choice, and our choices hold both intended and unintended consequences. When a crisis arises and the media contacts your company, it’s very easy to fall back on the standard “no comment.” To be certain, there are a number of crisis situations in which “no comment” is the most appropriate and best response possible. However, you should carefully weigh the ripple effects of the decision not to comment. Prior to becoming involving in public relations, I served as a reporter for daily newspaper for more than a decade. I have remained active in journalism throughout my career and I have great respect for what reporters and editors are called to do on a daily basis. If your company is involved in a situation that rises to the level of interest that warrants attention, there will always be a portion of the public that believes they have the right to know. The media’s job is to shine the light on behalf of the public and report what has been found. In the case of the truck hijacking that dominated the cable airwaves on an April afternoon, there was a great deal of interest to know how the driver ended up on the back the truck. In this situation (and in many, many others), declining to comment will not make the story go away. Even though you have chosen your right not to comment, reporters will not give up on getting the details they are seeking. There are always other sources, but those perspectives rarely, if ever, will give your side of the story. In reality, exercising your freedom not to speak can be seen by the public in the same way as using the Fifth Amendment on the witness stand. This can be particularly true when the local media is involved. PR pros and their companies certainly want coverage of their good news. However, if you choose to only comment on the positive stories and are then seen as uncooperative when bad news surfaces, your relationship with those media outlets will run the risk of significant damage. Case in point on the value of commenting: During the Great Recession, a number of companies across the country cut their work forces. Job layoffs and plant closures will always make any local news broadcast or local newspaper. Changes in job status are the kinds of top stories that impact the lives of people in those communities. Consider the experience of two companies making news on the job front during the recession. The choices each company made perfectly illustrates the value of media relations and crisis communications. In this real-life example, one company sought to be proactive in addressing the challenging economy by instituting a hiring and salary freeze that included pay cuts for executive management. Meanwhile, the other company made the decision to carry out extensive layoffs at one of its facilities. Both companies were within the same coverage area of a local television station. When news leaked of changes each company was making, the station made the decision to pursue both stories. The company with the hiring and salary freeze opted to go on camera with company officials and employees discussing the decision. The company with the large number of layoffs chose not to respond to media requests. As fate would have it, the station chose to run extensive coverage of responsive company’s story followed by a brief story on the company choosing to offer no comment. The result of the story content and the station’s choice of running order underscored the benefit experienced by the company offering its perspective on the situation. With the juxtaposition that took place, they were seen as an organization taking responsible and understandable proactive measures during difficult economic times. In many crisis communications situations, there are details companies do not want to disclose and questions that they would prefer not to answer. At the same time, many company officials understand the value of making comments on certain aspects of a situation, including the opportunity to express gratitude, sorrow or empathy. Rather than participate in a live Q&A, email (and even social media) has made it possible to quickly issue statements that can address key points and serve as an appropriate response to media inquiries. Statements have the advantage of being thought-out responses that can offer a degree of depth which live responses to a Q&A with a reporter might not hold. This can be especially true if the company spokesperson is working from a collection of corporately-blessed talking points. It’s important to keep in mind that statements shared with the media are not a magic a bullet, but they do offer a valuable middle-ground alternative to refusing any comments. When the time came to address media inquiries in the hijacked truck incident, we chose to employ two effective approaches that utilized statements. As we were gathering information from the driver, from company representatives on the ground and in conversations with media members and law enforcement, we issued an initial statement that expressed the company’s thanks that the driver and all those on the road at the time of the chase had escaped serious injury. We also expressed our gratitude to all the law enforcement officials involved in bringing the incident to a safe conclusion in apprehending the hijacker. We closed by pledging our support to cooperate with the ongoing investigations into the case. By the time the driver had finished talking with all agencies involved in the chase, we had a pretty good idea of what the media would be seeking from him. During the short time his death-defying ride had been featured on television, the cable news media had elevated him to a folk-hero status. Interest in how he was able to hang on and stay with his truck (complete with replays from his ride) had momentarily outweighed interest in how he had found himself in that dangerous circumstance. In less than three hours after the chase had ended, the driver had requests from every major network, all of the cable outlets, two of the leading morning shows and a top-rated daytime talk show. However, there would be a serious issue awaiting the driver with any of these TV appearances. As I explained to him, he would have a tough time answering these two questions: How did you get on the back of that truck? Why did you leave the truck running with the doors unlocked when you parked at the strip mall? There was no doubt he would get those questions and other potentially tough inquiries. Any first-year reporter fresh out of journalism school would ask those first two questions – let alone a seasoned cable TV anchor or a network morning show host. I truly felt bad for the driver. He had endured a horrific experience, and I didn’t want to see him risk further pain or embarrassment. (Plus, in my media relations role, I was well aware that any on-camera comment from the driver would revive the story and keep it in the public eye). Given all the considerations, I offered to help the driver draft a statement that would serve as his only comments regarding his bad day and wild ride. Fortunately, after discussing potential outcomes with him, the driver did not want the media attention or scrutiny. He opted to go the route of a statement released to all interested media outlets. Consistent with the earlier statement from the company, the driver’s statement expressed his appreciation for the actions of law enforcement, gave thanks that no one was hurt and requested that people respect his privacy while he recovered from what had been a traumatic experience. The driver’s statement that the company issued on his behalf stood as the last word on the matter and all the video (with the exception of a few YouTube clips) vanished within 24 hours of the incident. While the media outlets that had invited the driver to appear for an interview were disappointed (especially Shepard Smith’s team), every producer and reporter understood that answering questions about the incident would require the driver to essentially relive what had been a near-death experience. 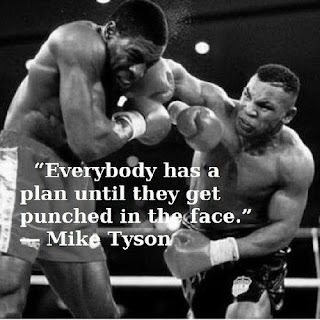 Be prepared – have a plan that is tested to the point it can take a punch. Be smart – keep in mind that every decision has both intended and unintended consequences. Be honest – never lie or deceive in your response to the situation. Keep company officials in the crisis communications loop apprised of what you learn. Make a definitive choice to comment or not to comment to the press. When choosing to engage the press, be appropriately responsive in offering details you have been cleared to release.Anticipate the questions that could arise that you do not want to address. Have a ready response that honestly addresses these questions and defers comment in a manner that reporters and editors will respect. A strong working relationship with company officials is vital in fully realizing the effectiveness of a crisis communications plan. Communications professionals on the front lines of a crisis situation need to establish themselves in a respected advisory role. Given your experience in media relations and knowledge of potential outcomes, communications professionals chosen to handle crisis events should be able to reasonably predict the majority of the questions that will arise from a particular situation. Further, communications professionals should be able to weigh the pros and cons that exist in the options various responses to the media will hold. One of the first steps in evaluating the potential fallout from a crisis situation is establishing reasonable expectations of how things can play out. There will always be at least one company official who would like the communications professional to simply make the situation disappear. Everyone needs to keep in mind that (with rare exceptions) the communications professional did not create the situation and a magic wand is not part of the PR pro’s tool kit. While the crisis event won’t disappear, the effective application of a strong crisis plan that remains adaptive and responsive to the situation can make a day of bad news fade into the sunset.